You can make Horse show hair bows for your favorite little girls quickly and easily using Bowdabra bow maker. Styles change on the Horse show circuit just as they do with all fashion. The current trend at the moment is for lead line and short stirrup competitors to wear their hair in braids accented with beautiful bows. 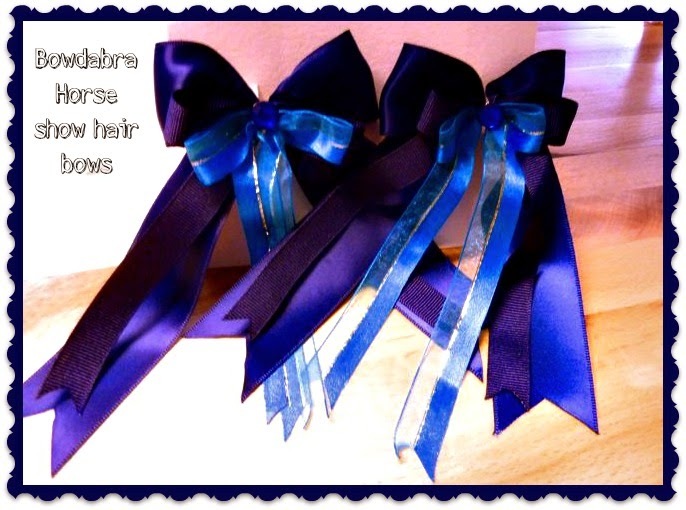 These Horse show hair bows can cost over $30 but you can make them for pennies with the Bowdabra. Visit Bowdabra for the full tutorial today.